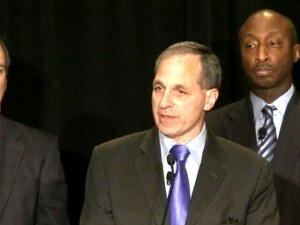 Home » Blog » How credible will the Freeh report be? Many of us are hoping the Freeh report will be the definitive source about what happened in 2001. But there are indications it might provide more questions than answers. According to sources familiar with the investigation – none of whom agreed to be identified by name because of confidentiality agreements – Freeh’s group quickly homed in on the relationship between Old Main, the building that houses campus administrators, and the Lasch Building, the athletic department’s headquarters. The number of confidentiality agreements is troubling. We don’t know the terms of these agreements, but I expect that many offer anonymity to those being interviewed. How else would they get people to freely open up about what they knew about Penn State football? When this report is released – it could be as early as next week, as some newspapers have reported – expect a lot of paraphrasing about what people told investigators. Don’t expect to see interview transcripts and other primary-source documents that many of us will need to convince ourselves that Freeh has it right. This might not be the definitive source of how Penn State handled the 2001 allegation after all.